HELP University was founded in 1986 to provide affordable quality educational opportunities for Malaysians. 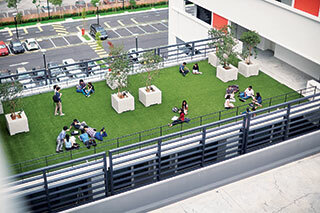 It has since developed into the leading institution of higher learning in Malaysia with an international reputation among universities, research organisations, scholars, business and corporate leaders and governments in Asia Pacific, Europe and North America. The combined population is more than 11,000 students, including 2,000 international students from 82 countries in Europe, the Americas, Central, South, East and Southeast Asia, the Middle East and Africa. HELP University offers a wide and diverse range of programmes covering business, law, management, economics, IT, the social sciences and the humanities at undergraduate and graduate levels. It also plays a leading role in research and development in certain disciplines and subject areas. Its undergraduate programmes in Business, Accounting and Finance, Law, Psychology and IT are much sought after by local and international students. The Faculty of Business, Economics, and Accounting, and the Faculty of Behavioural Sciences are some of the largest and most influential faculties in the country. HELP also collaborates with reputable partners in the UK, the US and Australia in the delivery of programmes. Over a period of 30 years, HELP has coached students to win the highest honours and awards from the University of London, including scholarships for masters and doctoral programmes. It is accorded pride of place in the annals of the University of London’s International Programmes for contributing significantly to the advancement of its mission of educating people in the global arena. Another indication of the quality of HELP’s academic programmes is the acceptance of its undergraduate degrees for masters and PhD studies at leading universities in the US, the UK and Australia, with many of them winning scholarships and awards for academic excellence. HELP is also a leader in postgraduate education through the ELM Graduate School, with 13 master’s programmes and 2 doctoral programmes. The consistent success of HELP University’s academic programmes is due to the strength and experience of its faculty members, many of whom have found that HELP provides the intellectual rigour and challenge to match their qualifications, skills and experience. Copious testimony has been received from grateful parents and students as to the dedication and commitment of lecturers who often go out of their way to coach and nurture students to achieve excellence and perform with confidence at interviews to gain admission to some of the best universities in the world. Graduates of HELP stand out from the crowd not only for the quality of their learning and training, but also for the values, ethics and compassion instilled through a wide variety of charity and community service programmes. Through access to over 40 clubs and societies, and sports and hobby programmes, they acquire teamwork, organisation, communication and management skills and qualities of courage and leadership. The quality of education imparted by HELP ensures that not only are its graduates preferred over others for employment by multinational companies and discerning employers in many areas of the globe, they also rapidly assume responsible leadership roles and positions wherever they choose to serve. HELP University offers generous scholarships and financial aid to deserving and needy students. Scholarship awards include Distinction and Merit Awards, School Achievers Scholarship Awards, Principal’s List Scholarship Awards, bursaries and student loans, amongst many others. The HELP Group has won numerous awards. It was recognised by Forbes Asia in 2011 as one of the 200 Top Performing companies in Asia Pacific with capitalisation below USD 1 billion. It also won the KPMG Shareholder Value Award in 2010, and was ranked 43 among 1,000 public listed companies on the Malaysian Stock Exchange; HELP was also included in the Malaysian Corporate Governance Index by MSWG, and won the Brand Laureate Award for Best Brand Award for Private Tertiary Education in 2012. In 2011, Group CEO, Datin Chan-Low Kam Yoke, was named Woman Entrepreneur by Ernst & Young. For more information on HELP Education Group’s programmes, please visit our website www.help.edu.my or call us at 03-27162000. Datuk Dr. Chan has an interesting career as an academic, economic advisor, and entrepreneur. He is Founder and President of HELP University (Malaysia), a highly respected international private university that manages more than 10,000 students in Malaysia and Asia. He is also Executive Director of HELP International Corporation which is listed on the Malaysian Stock Exchange. An economist by training, he studied at the University of Malaya and McMaster University, Canada and completed his PhD at the Australian National University. Dr. Chan has a distinguished academic career. He was Chairman, Division of Applied Economics, University of Malaya. He has published widely, taught in many universities, and participated in numerous professional seminars. Dr. Chan was also trained in advanced leadership in the renowned Center for Creative Leadership in Colorado Springs, USA. He also attended Harvard executive courses. An eminent educationist, he has set up and provided consultation for many tertiary institutions in Asia and the US. One of his major inputs is the accreditation exercise and the quality assurance management process. He has done this with international institutions and government accreditation bodies for various colleges and universities. He is also advisor to several Chinese universities and educational institutions in China, the US and Australia. He chairs the RM25 million HELP Trust Fund for needy students. He is also an Auditor of the Australian Universities Quality Agency. For his contributions to education in Malaysia and Asia he received honorary doctoral degrees from British and Australian universities. He is also a member of the Distinguished Alumni Hall of Fame of the prestigious Australian National University in recognition of his achievements in education and entrepreneurship. Dr. Chan is President of the Malaysian ANU Alumni and Chairs the ANU Alumni Scholarship Committee. As an economic advisor, he has acted as consultant for international organisations and governments. He has contributed significant policy inputs to various Malaysian government projects, including the Five Year Plans, the Industrial Master Plan. He was on the Panel of Economists advising the Prime Minister's Department (1986-1989). Dr. Chan assisted in constructing the KLSE Composite Index and was Chairman of the Committee during 1991-2001. At the ASEAN and Asia Pacific level, Dr. Chan contributed to policy research and policy formation, and held various regional positions. I chose the Foundation in Arts programme at HELP because it is one of the fastest ways to prepare myself for university studies. The programme gives me a complete preview of what is in store for me at the degree level. HELP’s Foundation in Arts provides all the necessary subjects which I require to successfully apply for my university of choice, the University of Queensland. 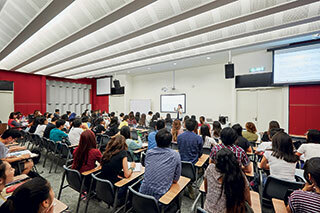 The fees involved are reasonable given the facilities provided and the quality of lecturers. Prior to joining HELP, I have visited various colleges to learn about their foundation programmes, however, HELP remains the only college which provides a direct credit transfer to my university of choice. One of the most crucial and useful value that HELP’s Foundation in Arts has helped me to develop is leadership skills. Through various group assignments and activities, group and solo presentations, I am able to communicate better with lecturers and friends, lead group assignments in a more efficient manner, and also improve greatly on my presentation skills. Another great activity provided by HELP is the leadership camp. It was a truly fruitful camp where I learned how to co-operate with others, and lead whenever necessary. I have made many friends from all around the world at HELPUniversityCollege and everyone is helpful and we enjoy partying and working out (at the gym) together. At HELP, I also managed to explore new talents and participate in many exciting activities, for example, during the college’s Lights of Unity celebration last year. After completing my O-levels, I was quite confused as there are numerous pre-university courses to choose from. Later, I found out that HELP has good ties with numerous universities in Australia, the country of my choice for further studies. The fees and living expenses at HELP are also more affordable than other places. Moreover, I chose the Foundation in Arts program because it can be completed in a year. Studying for the program was not much of a problem for me. The most challenging part was the language barrier. I can speak English but I wasn’t confident enough to communicate with the local students. Fortunately, my classmates were friendly and approachable. Soon, I was feeling comfortable with them and started mixing around. The foundation programme helped me improve myself, especially my command of the English language. The helpful and friendly lecturers also assisted me greatly. My dream is to be an international certified accountant. I decided to opt for a 2+1 Bachelor in Business majoring in Accounting and Finance programme as I have been in Malaysia for almost 5 years. Therefore, studying in Malaysia for another 2 more years wouldn’t be much a problem for me. I already had a diploma in Psychology but I was keen to take it a step further as my job entails quite a bit of counselling with drug addicts who are undergoing rehabilitation. I chose HELP Institute after finding out as much as possible about the college and in particular, the Psychology course through the Internet. Initially, I wanted to further my studies in Sri Lanka but changed my mind after I found out that Malaysia has a better education system. I was impressed by the very first encounter with HELP, which was via an email. To my amazement, Dr Goh Chee Leong, the Director of HELP’s Center for Psychology himself replied to my email, providing me with relevant information. I knew right away that I would enrol in HELP, as it was obvious proof that HELP Institute really cares about their students. I joined the programme in May 2002 and I have many positive things to say about my experience at HELP Institute. For one, I am quite happy with my lecturers. I particularly enjoy Mr Gerard Louis’ classes because he provides good examples and explanations. He’s a friendly and approachable lecturer so I feel comfortable seeing him when I face difficulties in class. I’ve had the opportunity to get some relevant hands on working experience. Last year, I assisted in the public relations aspects of a charity event that was organized by HELP Institute. This was part of a Public Relations paper I had taken. It was very beneficial as the project itself is related to the counselling work that I do. I learnt about the A-Z of public relations from preparing press releases to writing articles and taking photos. It was a good experience and I did have fun at the same time! It was actually a fund-raising activity for the less fortunate children from various countries. It has given me an idea on how to organize a similar event in the Maldives so that everyone can be involved in helping the less fortunate. I was also fascinated by the many cultural activities that the college organizes such as film festivals, celebration of festivities and charity projects. Upon graduation, I will return to the Maldives, where I hope to put all my knowledge and experience to good use. I am currently undergoing an IT programme at HELP Institute and I plan to transfer my credits to the University of Queensland in Australia for the final year. So basically, I would have spent two years in Malaysia and one year in Australia at the University of Queensland. Options such as this where we can transfer credits to another country is good as we are exposed to a totally new environment. 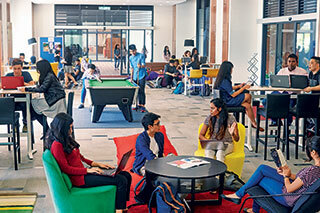 I get the best of both worlds by studying in Malaysia as well as completing the final year of my course in Australia. Malaysians are generally friendly and I now have many Malaysian friends. However, I am still keeping constant touch with my other Indonesian friends. I am a member of HELP’s Indonesian Students’ Club. In Malaysia, HELP Institute is known for providing quality education. Since 1986, the college has been consistently producing many high achievers who have won numerous awards, scholarships and competitions. Its outstanding track record of providing high quality education has also resulted in tie-ups with numerous prestigious foreign universities as well as it being known as the College of Achievers. Studying at HELP Institute has been a pleasurable experience. I have learnt many new things and have adjusted well to life here. I wouldn’t trade the experience for anything in the world. Melissa Ngatiman who is enrolled in HELP’s credit transfer IT programme, says the credit transfer programme at HELP is good as it exposes the student to a totally new environment. I aspire to become a journalist and I see HELP/> University/> College/>/>’s American Degree Programme providing me with the means to a tertiary education and a promising future in my career. 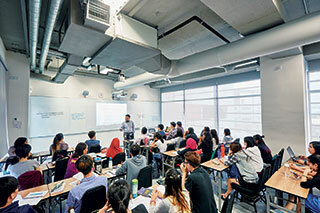 With so many facilities and services available on the education front, Malaysian students are extremely lucky to have such a diverse array of educational opportunities available to them at their own doorstep. Nirmal Pant hails from Kathmandu, Nepal. He completed his 10+2 in Kathmandu and is currently enrolled in the American Degree Transfer Program (Accounting) at HELP University College. His hobbies are singing and sports. HELP UniversityCollege is exceptionally different from all the academic institutes back home; the lecturers here are friendly, helpful and teach by integrating practical experiences. When I compare the UK to Malaysia, I find that for the same degree and quality of education, it is much affordable at HELPUniversityCollege. Furthermore, it’s closer to home. Shahr Pathan hails from Mumbai, India and completed her high school at the SMT Lilavatibai Podar High School in Mumbai. Shahr, who is currently pursuing the Bachelor of Psychology (Hons) at HELP University College, volunteers at ARCCADE (Asian Research Centre for Child and Adolescent Development) at HELP. One aspect that Thai students look forward to upon furthering their studies in Malaysia is the ability to acquire English as a second language and at HELP Institute, students will not lose out in this aspect. In Thailand, the locals conversed in Thai and this was not conducive for students to learn and practice English. When I was told that foreign students had the opportunity to attend English classes at HELP Institute, I instantly jumped at the idea. I believed it was an advantage as I could polish my speaking and written skills in the language. Thai students who are proficient in English stands a better chance in sustaining jobs in reputable companies’ back home. Another factor I personally found comforting at HELP is the dedication of lecturers at the department. I have never come across such warmth portrayed by lecturers at the department. And, such attitude for a foreign student makes a world of difference especially in a foreign country. 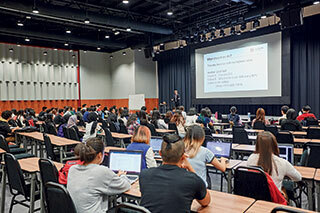 The lecturers express patience in addressing questions, as they understand that foreign students have difficulties in certain areas due to the language barrier. They are very friendly and go to all lengths to ensure that I understand what is taught in classes.” Furthermore, they conduct lecture sessions in a lively manner with lots of discussions and group assignments. Thai students do not get to experience this back at higher institutions of learning in Thailand. Besides a sound academic life, I look forward to a pleasant social life. I actually have the opportunity to meet many students from around the world and this helps me broaden my knowledge on various cultures practiced in different countries. I have to admit I have managed to pick up various languages like Indonesian and Chinese. I still get the opportunity to play soccer, table tennis and practice swimming. I am also a member of HELP’s Tae- Kwon Do club and am glad that I have picked up dancing skills through the college’s dance club.